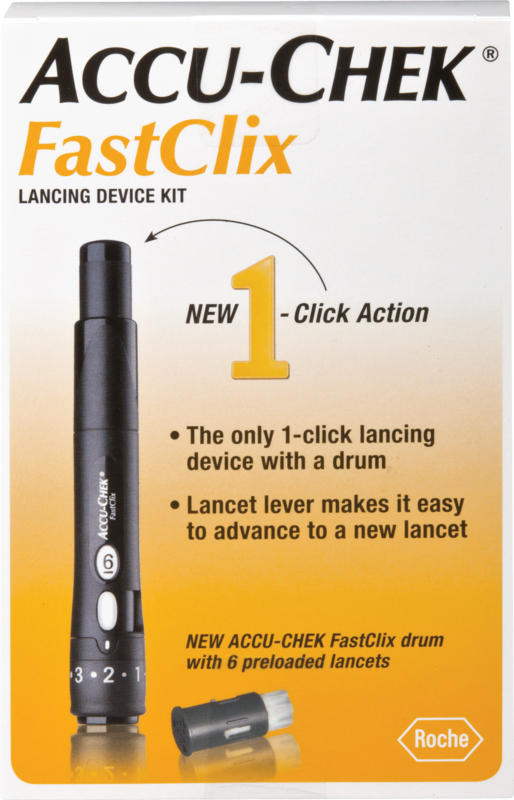 ACCU-CHEK FastClix—the only 1-click lancing device with a drum. Proven least painful and overall easiest to use.1 ACCU-CHEK FastClix drum with 6 preloaded lancets—no individual lancets to see or touch. Lancet lever makes it easy to advance to new lancet. Lancet counter shows number of remaining lancets. Precision-guided technology minimizes painful side-to-side motion. 11 customizable depth settings—for different skin types.